As some of you know, Davids Tea has a Mystery Tea Contest each year. They put out a blend for sampling and ask customers to submit names, based on the taste and ingredients in the tea. This year’s tea was a white tea blend of pineapple, melon, and mango. So, I was one of the customers who submitted names. I believe the company got hundreds of names, as one customer announced on Twitter that she alone had submitted 35. The name I came up with occurred to me after tasting the tea at the Gastown store and having the clerk remind me how much Davids Tea likes puns (last year’s winner was “Mint to Be”). I was trying to think of words that rhymed with “melon”, rather than mango, as Davids Tea already has a number of mango-related names. Believe me, nothing good rhymes with pineapple. Helen rhymes with melon. Famous people named Helen: Helen Keller, Helen Hayes…Helen of Troy! Thus, “Melon of Troy” was born and submitted to Davids Tea. After I sent in “Melon of Troy”, I kind of forgot about the contest. However, I wanted to vote when I saw a reminder notice on Facebook. I looked at the list of the top ten names and “Melon of Troy” was there! I was so elated. I’d been having a rather dull week and this surprise made things much better. I started campaigning for “Melon of Troy”: sending out Tweets, posting on Facebook, e-mailing my friends and family, and even making an announcement in my graphic design class. I connected with a young woman on Twitter who tweeted that she was the originator of “Honey-I-Dew”. I was really impressed by such a creative submission and liked it almost as much as my own, and certainly more than the other options. Tonight, on the way home from my Photoshop class, I found out that “Honey-I-Dew” won. I am a bit disappointed. Not because I didn’t win 250 grams of the tea, which frankly I didn’t like that much, but simply because it’s nice to have your creativity validated. I hope the nice young woman from Montreal who won is happy and will smile when she sees “Honey-I-Dew” on the Davids Tea wall in 2015. I am going to try not to wince. Maybe, I’ll just avert my eyes from the white tea section and remind myself that there’s always next year. So, in terms of entering contests, I will still continue to enter contests as I see them, but the main contest I will be a part of is National Novel Writing Month. Basically, I will be writing 1667 words per day in the month of November. By the end, I should have a novel the length of The Great Gatsby, if not the quality. I win if I complete the required number of words by the end of the month. What do I win? A few discounts from online sites and the legitimacy to buy a t-shirt that says I “won” off the website. What I really win is the chance to cross off a bucket list item. I very much doubt I will show the novel to anyone when it’s finished. Yet, I’ll know I did it and it will stand as a relic of my perseverance, if nothing else. Note: At the start of November, I will post a link if you’d like to follow my progress. Shortly before I left for Europe at the end of May, I received a call from West Coast Express. I was delighted to hear that I had won $60 towards transportation on the commuter train. A series of options were presented and I think I chose “toast and jam”, but frankly I don’t remember! In any case, this brings my total winning for the year up to $190. Now that I’m back on Canadian soil, I have renewed efforts to win contests. Hopefully, I will have some big wins to tell you about soon! I love music! Growing up, I took piano, voice, and music theory and went to everything from the opera to rock concerts. Now, I find myself intrigued by world music and want to learn more and more about how various cultures express themselves through musical performance and song. This interest led me to enter a Georgia Straight contest to win a VIP admission to the Sound of Dragon music festival. This is the first year that the festival honouring Chinese, Taiwanese, and international music has been held. Fortunately, I won! My pass gave me access to 20 concerts from May 9th to 11th. There were also free activities provided. I chose to attend several concerts on May 9th and 10th, as well as visit the “instruments petting zoo,”which allowed visitors to try traditional Chinese instruments and hear them demonstrated. I enjoyed all of the musical performances, but especially liked the one given by Little Giant Chinese Chamber Orchestra. 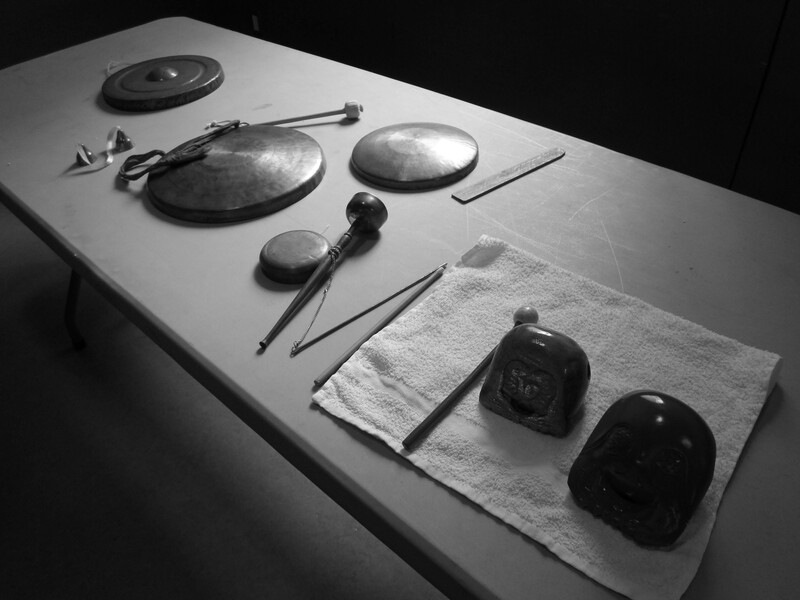 It was wonderful to hear instruments that I had never seen before produce music I’d never heard. It was also really inspiring to see so many young musicians passionate about performing their country’s contemporary music. I often find that contemporary music is best when it paints a picture in the listener’s mind of a central image. And, for the most part, I felt the music Little Giant Chinese Chamber Orchestra performed did just that. Pieces like “Slow Rain” and “Between Water and Clouds” allowed me to connect to the natural world in a very unique way. 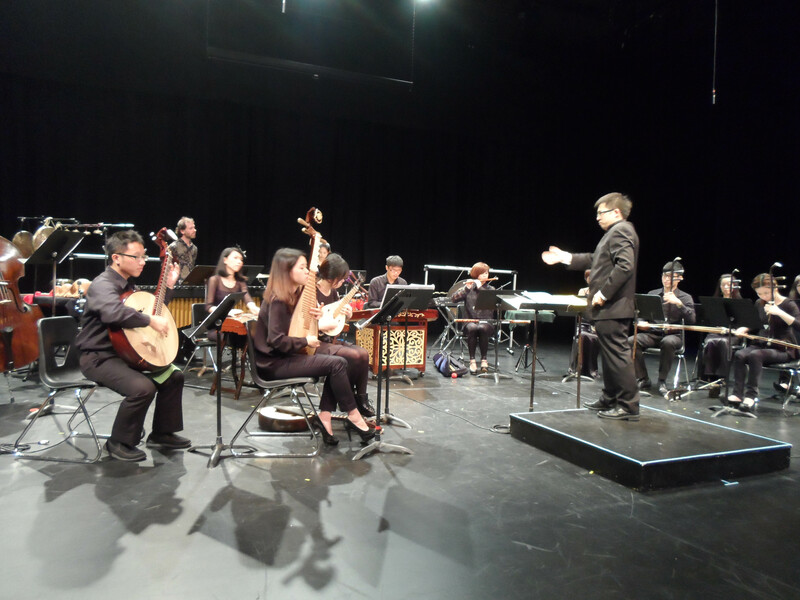 The other performances I saw highlighted how effectively western instruments and international instruments can harmonize with Chinese or Asian instruments. 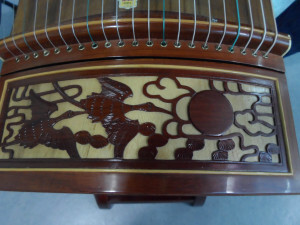 For example, the Oliver and Yu Duo combined the classical guitar with the ruan, otherwise known as the Chinese moon guitar. When listening to the pair play a song like “A Dream of Africa,” the experience is truly imbued with international flavours. The instruments petting zoo was also a great way to interact with all of the fascinating musical instruments. 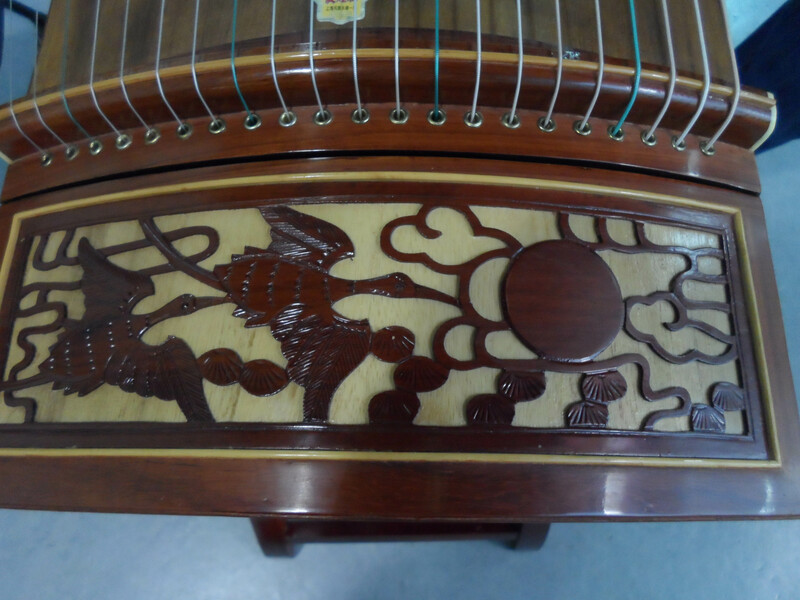 I especially liked the guzheng, which is like a Chinese zither and many of the percussion instruments. So, if you have an opportunity to attend next year’s festival, I would highly recommend it. I strongly feel that it is important to step out of one’s comfort zone and be open to learning about how other cultures express themselves through the arts. A note about the contest blog: The Sound of Dragon festival pass was worth $70. My total winnings this year add up to approximately $130. I hope to win many more exciting contests this year, but will be taking a hiatus for the month of June. Will see you all back in July! Got Craft? is an inspiring event, which I have been fortunate enough to win passes to for two years running. As you can see from the picture above, I am not the only one who got up early this Saturday to marvel at all the creativity on display. There’s always lots of jewellery at the show and this year I was especially struck by these gorgeous Shi Studio pendants. It was with great difficulty and tremendous self-restraint that I avoided picking up several of these beauties for myself. I never get tired of checking out the felted creations at Got Craft? 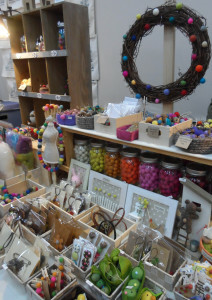 It is amazing how such a variety of things from wreaths to sushi displays can be created from these tiny fabric balls. If I had had more time, I might have joined one of the workshops and finally tried felting for myself. This is where Got Craft? stands out from other craft shows. Instead of just looking at all the work of others, you get the opportunity to try crafting for yourself. For example, in addition to the felting workshop, Spool of Thread had participants making fabric bows. Other workshops were also available for those who had signed up in advance. So, as you can see, I didn’t entirely resist temptation and bought a few items. The first was from Karla’s Specialteas. I LOVE tea and think it is truly the best drink on the planet. 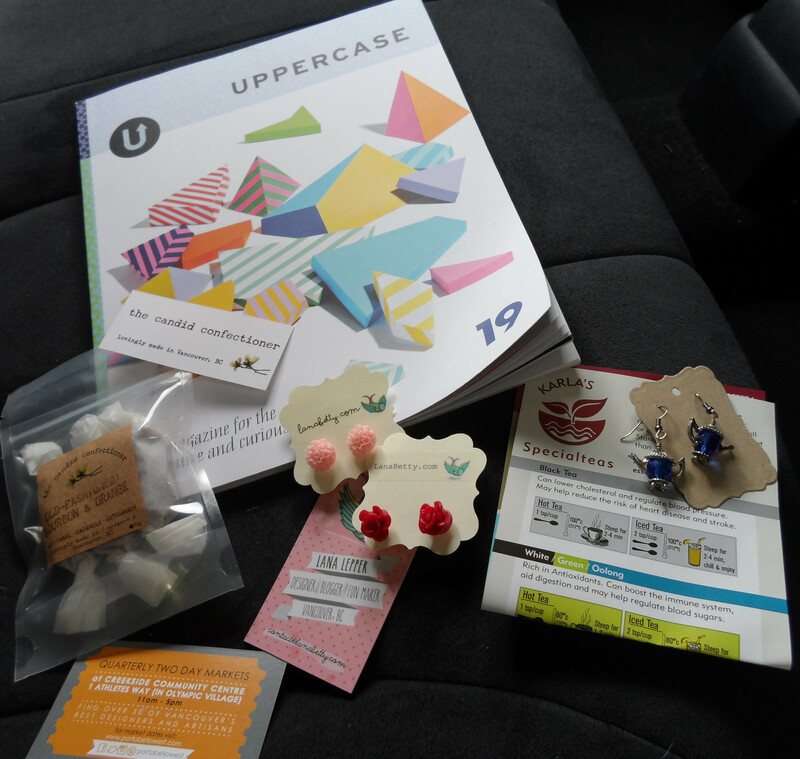 However, instead of adding to my already vast collection of brews, I thought it was high time to announce to the world, via very pretty earrings, that I am a serious steeper! Also, I love earrings and that is why I have yet again bought from Lana Betty. Her resin flower earrings are irresistible and at the show she was offering two pairs for $12; a great bargain! The red roses will be taking a trip to Greece later this month and will make a wonderful made-in-Vancouver present for my cousin. Got Craft? has some tasty food samples, too. This year, I was won over by The Candid Confectioner and some highly original caramels. Have you ever had bourbon and orange caramels? Well, this was my first time indulging and it won’t be my last. They had an intense, memorable flavour that you must experience for yourself. Also, the texture was the right balance between hard and soft. Definitely a pleasure to chew! Finally, on the way out the door, I signed up for Got Craft’s newsletter and received a free copy of UPPERCASE magazine. I have certainly flipped through this design-focused publication before and am very eager to give it a more in-depth look this week. 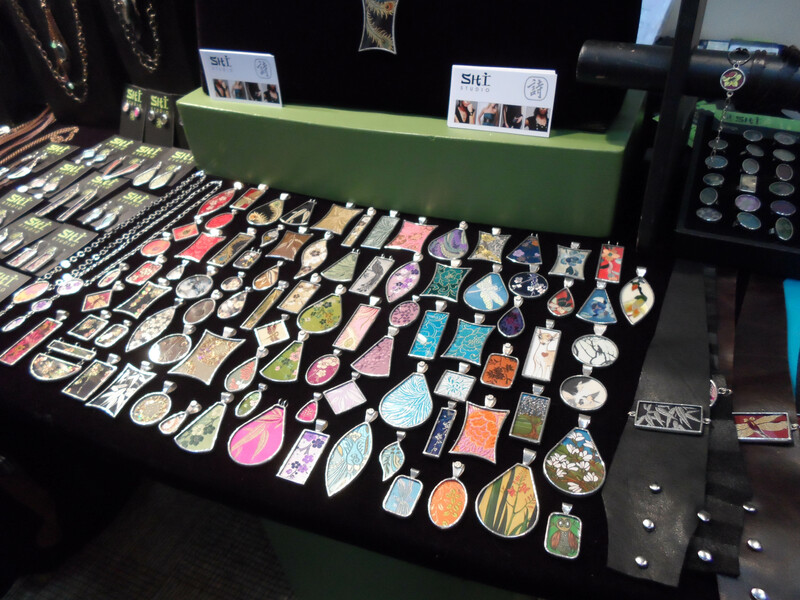 So, if you have time on Sunday, I sincerely hope you will check out Got Craft? Then, like me, get bitten by the crafting bug and start making something marvellous! All too often we embrace the raucous and break-neck pace of 21st century life. I think there should come a time in every day when we stop for a moment and seek out solitude and silence. For me, the best way to do this has been meditation. I don’t always succeed at remaining focused on the present moment. In fact, I often find my mind coming up with amazing ideas about future creative projects during that time. While some might say that that is a failed meditation, I disagree. To free oneself from the bombardment of sights and sounds, is a success in itself. The fact that my mind is at its most free and imaginative when relieved of so much outward stimuli is wonderful. Thus, in an effort to facilitate my meditation practice I have bought a Saje Nebulizer with my $50 gift card from Metropolis. I won the gift card in an online contest and this is my third win of the year. More about the other two wins in a moment. My alter ego has a good point…which I will now refute. 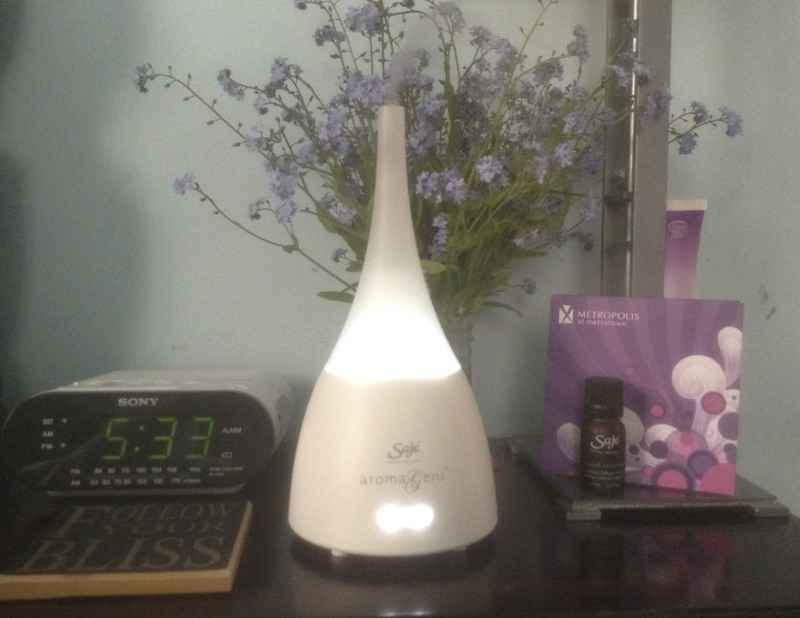 The nebulizer changes the stimuli in the room. Scent is always present. You cannot totally get rid of it in any location and, believe me, as a clean-freak I have tried. Thus, your only option is to change it to something pleasant, but not overpowering. In choosing a scent for meditation purposes, I would recommend also choosing something you enjoy, but not love. That way, you won’t focus on it, but it will simply make the overall environment more pleasant. 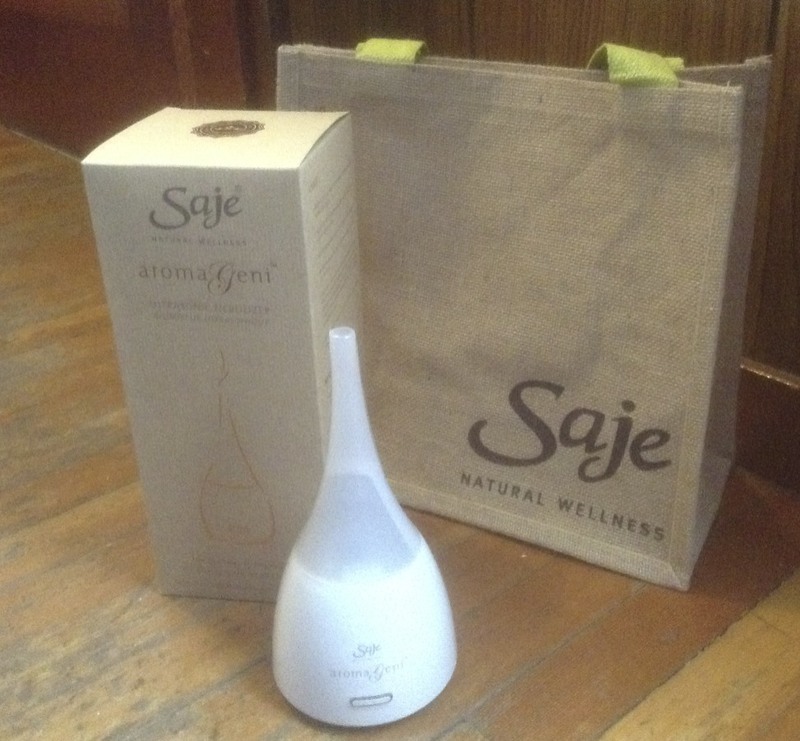 In the coming weeks, I’ll keep trying this particular nebulizer and will provide a more review-style post about the product itself. Right now, I’m just enjoying the wanderings of my imagination. Wins 1 and 2 were very small. So small, in fact, that I didn’t think they merited a blog post. The first occurred in Chinatown during Chinese New Year when I spun a fortune wheel and won a red and white baseball cap. It has some Chinese characters on it and I’m not sure what they mean. I have made it a practice never to wear anything that displays words in another language unless I know exactly what the translation is. A cautionary tale: a friend of a friend went to China and got what she believed to be the word “temptress” tattooed on her back in Chinese characters. Unfortunately, she later found out that the true translation was “whore” – ouch! Win #2 was a magnet from Nutella I won in an online contest that could result in a $10,000 trip to Italy, so fingers crossed that the chocolate gods continue to be generous! After a long hiatus, I am a winner yet again. I recently won a $50 gift card and two David’s tea vouchers from Brentwood Town Centre. I put my gift card towards a new bathrobe and will definitely be saving my David’s Tea vouchers for some of their fabulous Fall collection brews. I’d like to devote this post to why I go to Brentwood Mall. It’s to see the most wonderful hair stylist there is: Rob at Regis Salon. Rob and I have known each other for almost two decades. We first met when I was a beauty advisor at Merle Norman Cosmetics in Lougheed Mall and he was a hair stylist at a salon two doors down. When I first went to Rob, I presented him with a tangled and drab brown hair that had never looked good. I had all but given up on it. Rob, however, was undaunted. In a couple of hours, my mane looked better than I could ever have imagined. I knew I had found a true artist who I would never stray from. As the months and years went by, I learned that Rob was more than just a talented hair stylist; he was one of the most generous, kindest people I have ever had the pleasure to know. I treasure our friendship and look forward every couple of months to our chats over cups of tea and tabloids. So, today Rob, on your birthday, I’d like to thank you for everything and wish you many happy returns and much love! Everyone else: find your way to Regis Salon and get the hair you’ve always dreamed of from the best hair stylist I know!